Where to Buy 565 plus xlo, PT 565 Plus XLO Aerosol Contact Insecticide - 20 oz - $24.95 for Sale with Fast Free Shipping! 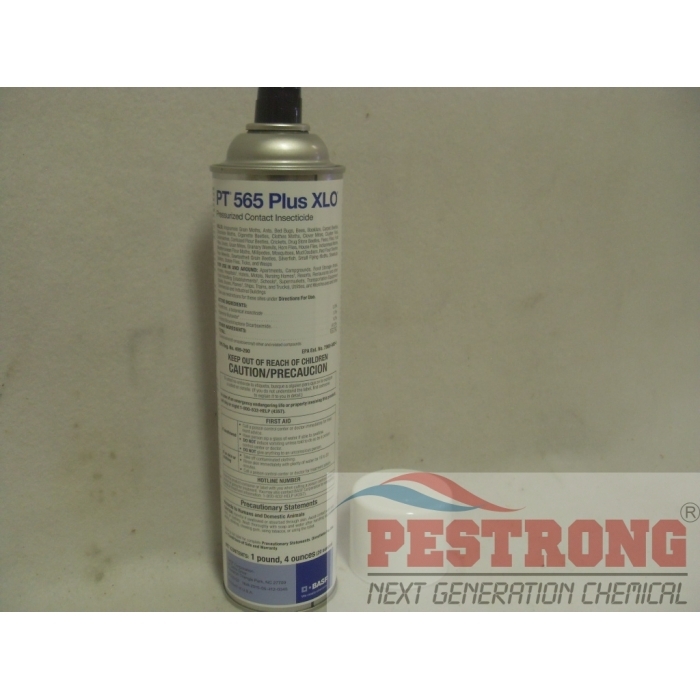 PT 565 Plus XLO Aerosol Contact Insecticide - 20 oz is a non-residual contact insecticide with a slight odor for quick knockdown killing most of pests as flushing. Target : Angoumois Grain Moths, Ants, Bed Bugs, Booklice, Carpet Beetles, Centipedes, Chocolate Moths, Cigarette Beetles, Clover Mites, Cluster Flies, Cockroaches, Confused Flour Beetles, Crickets, Drug Store Beetles, Fleas, Flies, Fruit Flies, Gnats, Grain Mites, Granary Weevils, Horn Flies, House Flies, Indian Meal Moths, Mediterranean Flour Moths, Millipedes, Mosquitoes, Mud Daubers, Red Flour Beetles, Rice Weevils, Saw-toothed Grain Beetles, Silverfish, Small Flying Moths, Sowbugs, Spiders, Stable Flies and Wasps. If you don't like smell, use EcoPCO ACU aerosol. Great on-the-spot knockout aerosol. It reliably kills a wide range of insects. I prefer one aerosol that kills almost all types of insects consistently rather than a very specific type of aerosol that is really good at killing only one type of insect. It is much better on my money. nice product with great price! I used this fc magnum with pt565 plus for control german cockroaches in my property. It is a little hard job for mr, but the results is better than expentation. It is good. PT 565 Plus XLO is my favorite aerosol for my restaurant. I run a gas station business. This 565 has controlled crawl and flying insect both include moth. No more headache with moth.